After a good but busy kind of a week, it felt fitting to take some time out and go out for dinner. 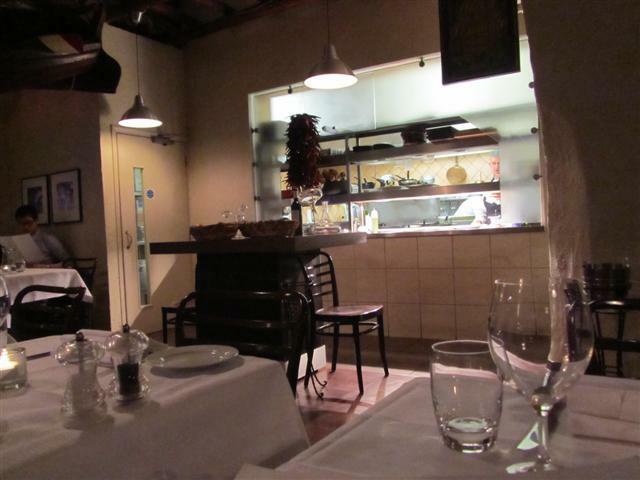 The location of Pescatori was at the quieter end of Charlotte Street, away from the many other eateries. The initial vibe that I got when I first entered Pescatori was that it felt very welcoming. This continued throughout the whole evening. The restaurant had a rustic feel to it with its dark wooden beams, arches and alcoves. There was also a boat and oars hanging from the ceiling! Sardines are so underrated; they are one of my favourite fish. Three butterflied chargrilled sardines with salsa verde was my starter dish. The lightness of the sardines went well with the rich tomato salsa verde. 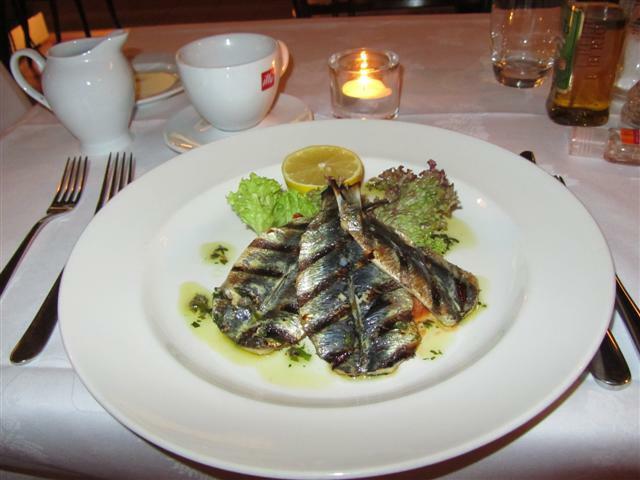 The sardines were served with half of an Amalfi lemon. A delicious start to my evening meal. 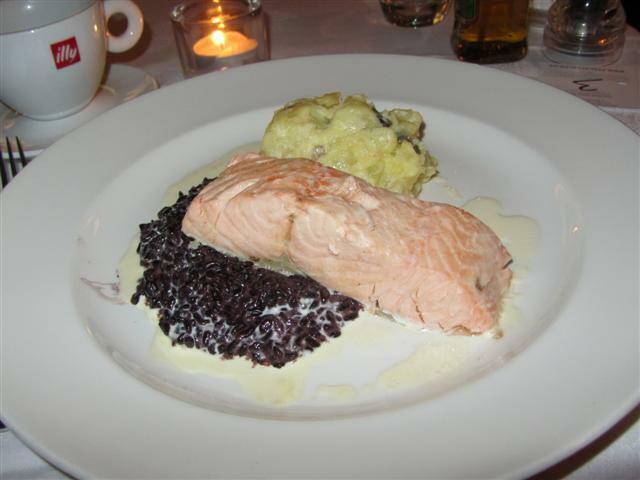 The next course consisted of a steamed Severn and Wye salmon fillet. The salmon was a big chunky portion and it was nice that it wasn’t dressed with lots of additional flavouring, just a simple cream sauce. The salmon was supposed to come with crushed potato and watercress salad. As I wanted something hot, I had the black venere rice instead of the salad. The crushed potato came mixed with olives and capers. The steamed salmon dish was a satisfying and filling meal. The evening would not have been complete without the dessert. Originally, I was going to have the almond pannacotta but then thought that it may be too creamy for my liking. 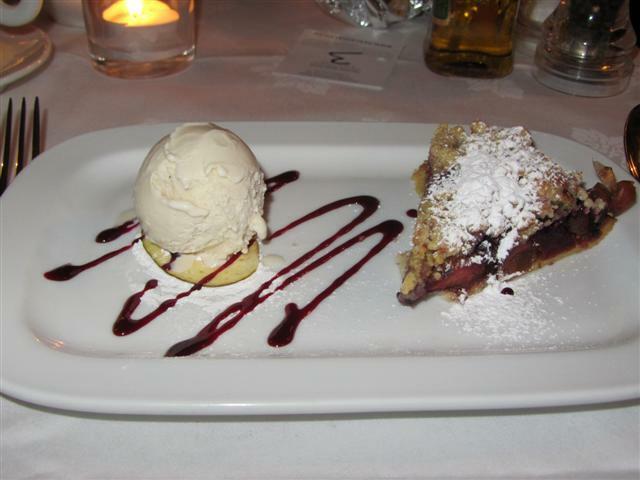 So, the apple and blackberry sbrisolata was chosen. This was like a fruit tart topped with a pistachio and hazelnut crumble. The fruit was perfectly sweet and it was lovely with the ice cream and the sauce. The staff were really friendly and professional. They made the whole dining experience feel special. It was nice that they recommended dishes. It was good to see the chefs at work in the open kitchen at the back of the restaurant. The staff were attentive, but let me take my time over the meal. 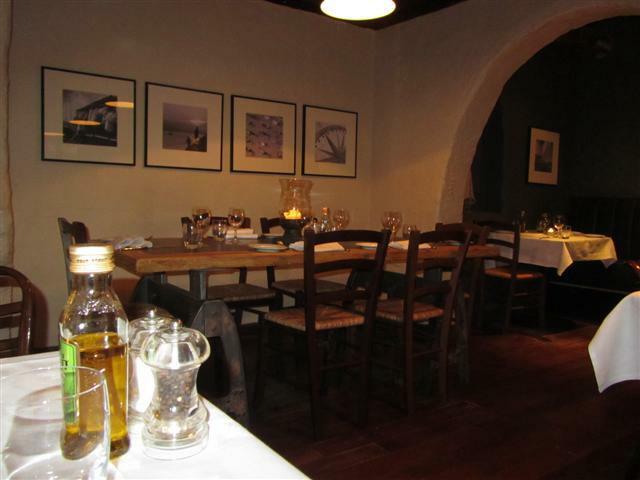 Dining at Pescatori was a perfect evening out and it felt like a real treat. A good end to a busy few days! 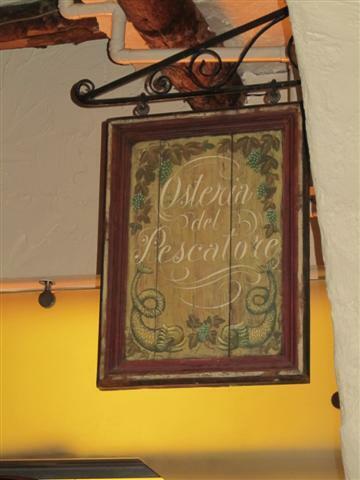 It seemed that Pescatori was a busy and popular restaurant and I look forward to returning to try some more of their dishes!